Certified DiSC, Certified Equine Guided Educator & Coach, Certified TLC Consultant. 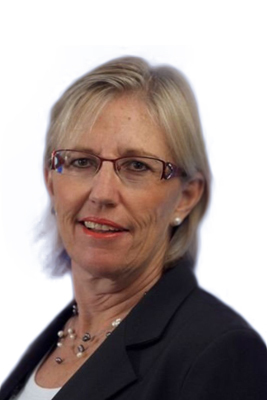 Pam joined Synergy Global in 2013 as Team Leader – NSW & QLD. She is an experienced Executive, Educator & Effectiveness Consultant, working across the Private, Public & Not-for-Profit Sectors. Pam partners with organisations dedicated to maximising their organisational effectiveness by liberating systemic leadership & enhancing staff productivity. In her 18yr corporate career, her experience spans senior customer-focused marketing roles across a variety of industries - from Apple & Microsoft (Technology), to American Express (Finance), where she was responsible for the launch of the Amex Gold Card into Australia. Pam spent her formative business years in brand management at Rexona, part of the Unilever group, with total profit & loss responsibilities for a suite of well-known toiletries brands. It was during this time that she learnt the negotiation skills necessary to deal successfully with the big supermarkets Coles & Woolworths that dominate a large proportion of the fast moving packaged goods world across the Asia Pacific Region. In the late 1980’s Pam spent 3 years in the US establishing a national sales/marketing & distribution centre for an AUS-based opal jewellery manufacturer. This involved developing relationships with the finest jewellers as the means of building the business from scratch. Based in Atlanta Georgia, Pam travelled extensively across 38 States, promoting opal jewellery as The Fire of Australia. During her corporate career, Pam focused on developing people both directly through leading her own teams & working in collaboration with other departments to achieve goals. Responsibilities ranged from one direct report as a junior brand manager at Rexona to a direct team of 12 marketing professionals at American Express plus various cross-functional teams supporting the launch of the Amex Gold Card. This continued in the US where she created a successful sales team for Opals Australia & on her return she led Marketing & Communications Teams at Apple, before creating a Customer Loyalty Team at Microsoft. In 1996 Pam started her own marketing consultancy working with companies & staff to engender a sense of caring for the customer - providing "a human focus to business”. During this time, she designed & facilitated business strategy & planning workshops centred on customer relationships & ensuing added value. Pam often found that she was called on to work with teams & individuals to set a new direction & support people through the transition process to foster effective leadership & workplace relations. The more time Pam spent researching customer loyalty, the more she realised the key ingredient in any strategy is the effectiveness of the people involved & the system in which they operate. While consulting, she witnessed first-hand the adverse impact of mergers & acquisitions on staff, where there was a lack of creative leadership. This & becoming a Master Practitioner & Trainer of Neuro Linguistic Programming (NLP) led Pam to change direction in her career. She now focuses on systemic leadership as the key to building enduring customer relationships, improving staff effectiveness & producing financial success. Since 2002 Pam has been involved in various Change Leadership Programs. These typically involve a combination of facilitating team workshops designed to achieve individual, team & organisational growth, underpinned by 1:1 Executive Coaching. The programs have involved Executives to Dept Heads & their teams - some as an intervention & others transformational over a more sustained period. Pam holds a Bachelor's degree from the University of NSW (AUS) & is a Graduate of the Senior General Management Program, INSEAD (France). She is a Certified NLP Coach & Master Practitioner/Trainer; has DiSC Model Accreditation; a Certificate in Level 1 Educational Kinesiology; a Cert. IV in Assessment & Workplace Training; a Certification in iWAM (Workplace Behavioural Profiling); a Certification in LAB Profiling; plus is also Certified Skyhorse Equine Guided Educator. More recently she has become Certified in The Leadership Circle & Orijen Mentoring Program. She is also experienced with other development tools such as LSI, Enneagram, & the Myers Briggs Type Indicator (MBTI).